Crafty Bikyclist: More Juggling Balls! 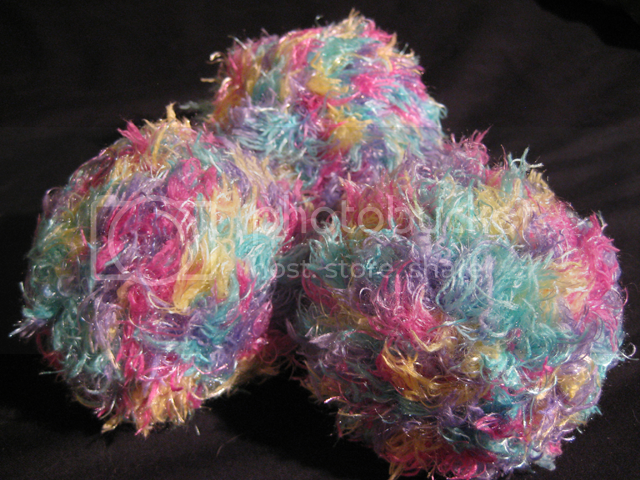 They are fluffy, really soft wool (Blissful by Moda Vera, from Spotlight), with a 5.00 mm hook. You might remember these (The Evolution of a Fluff Ball/Tribble I made a while back) - yes, using the same style of wool in a different shade - but I've since learned how to better crochet the fluffy wool directly, so these don't have an under-net like my older tribbles. These Juggling Balls looks amazing .I think balls are very soft. By your blog, I also learned, as how to make juggling balls. I will make Juggling ball and after that, I will try to play, with these balls.